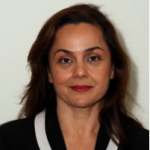 Aysegul Kayahan is a Senior Associate and Director of The Ethicos Group Pty Ltd., and an experienced company director and global mobility professional who has been investing in technology startups with Brisbane Angels Group since 2009. Aysegul has invested in 32 startups (and growing) across a variety of industries and is currently on the board of Five Faces (her first angel investment), Brisbane Angels Group, The Ethicos Group and on the Advisory Board of ProcessPA. Aysegul believes the future success and sustainability of the Australian way of life is dependent on a robust and globally scalable science and technology businesses. As part of her commitment to the startup community, Aysegul invests in startups by volunteering to mentor through the various accelerators located in Brisbane. She has a day job running her business, Relocation Specialists, in the relocation and global mobility industry, as an owner and manager since 1993. Her prior working life was in the international financial information industry in Brisbane, Sydney and Hong Kong. Aysegul has a Master of Arts majoring in Ethics (2010) and a B.Sc. majoring in Physics and Mathematics (1985). Aysegul has a strong commitment to Business Ethics and Social Justice, including being a member of the QLD committee of Transparency International Australia (2013-2016). She has lived in Turkey, Australia, Hong Kong and Vanuatu. Aysegul became an investor and Senior Associate of The Ethicos Group in 2014 (developing solutions for business ethics, bullying, harassment and corruption), and a Director in 2016. Her contribution to the Ethicos Group is to assist with business strategy, sales and marketing, drawing on her more than 30 years business experience across diverse sectors in multiple countries.